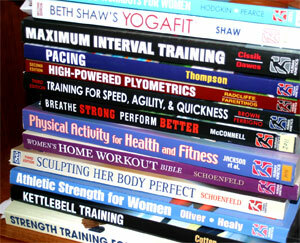 Reviews of exercise, fitness, and sports nutrition books and DVDs at AthleteInMe.com. 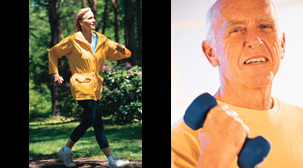 Listed below are our reviews of books on exercise, fitness, training, and sports nutrition. Click on a title to read our review. (You can reorder the table by clicking on the column heading.) If you decide to purchase it, click on the Amazon link provided. This will help support our efforts. Thanks! NOTE: If you do not see the Amazon logo-link on each page, either refresh the page, or disable the ad-blocking function on your browser.